A home birth is quickly turned into a loving family affair. The new baby has many siblings that are all very excited for their new addition to the family. 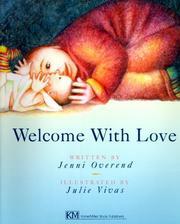 Overend, Jeni, “Welcome with love,” Children's Picture Book Database at Miami University, accessed April 24, 2019, https://dlp.lib.miamioh.edu/picturebook/items/show/14009.